Fourteen of Chicago's most acclaimed live lit collectives and solo performers are teaming up for the 19th annual Fillet of Solo Festival. The festival opens Wednesday, Jan. 13 at 7pm at Mayne Stage in Rogers Park and runs for three weeks. Opening night is a free event featuring performances from Minita Gandhi, Julie Ganey, Nestor Gomez, Tyler Greene, David Kodeski, Jeremy Owens and Amy Sumpter. Festival passes will be available for purchase on opening night for a discounted rate of $25. A full schedule of events can be found online. There will be continued coverage of the Fillet of Solo performances and an interview with festival founder and performer, Dorothy Milne, featured on Third Coast Review in January. 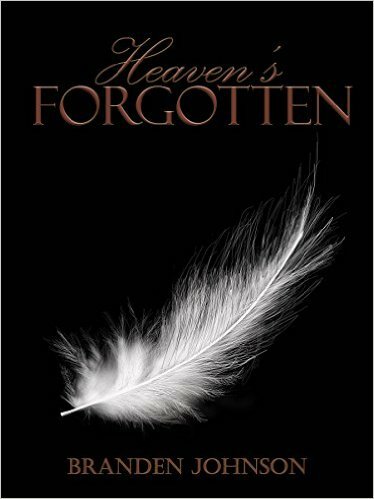 Branden Johnson's Heaven's Forgotten begins with the story of Moira, a young single mother, and her daughter, Penelope running from the fallen angel who is the girl's father. As the novel progresses, it becomes clear that Penelope is more than she seems and her father is not the only fallen angel looking for them. The plot is structured much like an action movie complete with cross country road trips (I counted two per character), casually graphic murder, and amateurs picking up firearms. The bright side of the action movie structure is that the pacing keeps the story moving along. The main conflict represented by the fallen angel, Michael, resolves itself one third of the way through the book with minimal fanfare, leading the larger conspiracy to take the stage. The last two thirds of the book feel like an entire season of "Supernatural" minus Jensen Ackles and Jared Padalecki eye candy. FRIDAY! 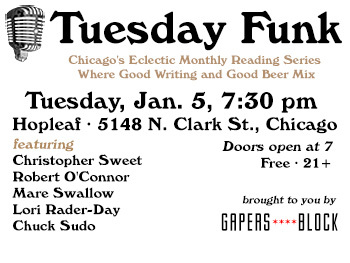 Bad Grammar Theater open mic is at Powell's Bookstore in Greektown. FRIDAY! Dark Noise, a nationwide, multiracial, multi-genre collective of poets and writers will be in Chicago for a reading at The Poetry Foundation downtown. SATURDAY! Nerd out as author Carly Kocurek holds a release night for her book Coin-Operated Americans: Rebooting Boyhood at the Video Game Arcade at Geek Bar in Wicker Park. SUNDAY! The Queer Readers Book Group at Women and Children First bookstore in Andersonville discusses Octavia Butler's Parable of the Sower. SUNDAY! Curbside Splendor's reading series The Marrow is back at the Whistler in Logan Square with readings by Britt Julious, Megan Kirby, Ted Wesenberg, and Dave Reidy. SUNDAY! 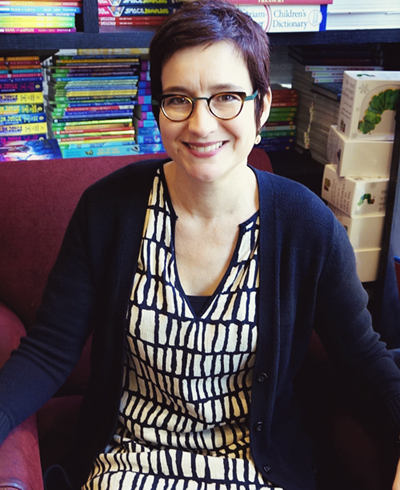 Back 2 Print Publishing releases their latest chapbook Spent Seasons by high school student Liza Edwards-Levin at Uncharted Books with a reading by the author and invited guests. Earlier this year, I put together a list of the Best Chicago Novels by Neighborhood, tying the city's greatest works of fiction to their geographical settings. But during my research, I wound up with a handful of great books set just outside city limits. Here is that list, the best novels (and one novel-esque memoir) set in Chicago's suburbs. You may notice most of them were published in just the past 15 years. It's not that no one was writing about Chicago suburbs before 2000 (see The Chicago of Fiction: A Resource Guide for proof), it's just that most of those books are out of print. If I've missed any great still-in-print books set in the suburbs, let me know in the comments. 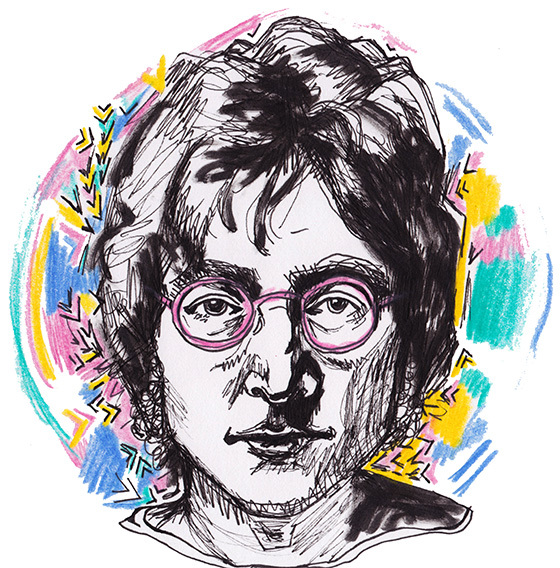 Chicago Public School teacher and writer Jack Murphy has teamed up with local freelance artist Melanie Plank to produce an illustrated book of Beatles inspired poems. The collection, titled Beware of Napkins, includes 15 poems and 23 pen, ink and crayon or crayon-like illustrations. FRIDAY! Two Cookie Minimum reading series closes their year with a holiday reading at Chicago Publishers Resource Center. FRIDAY! Live Lit series 2nd Story will be at Pub 626 presenting their reading titled, "Please, Oh Please: Stories of Asking for the Inconceivable". FRIDAY! Poetry Foundation holds an opening reception for Volatile!, a collaboration between design historian Debra Riley Parr and scent artist David Moltz. SATURDAY! Drop in to Unabridged Bookstore as they celebrate their 35 year anniversary with special sales and a look back on their history. SUNDAY! Chicago Tribune columnist and co-owner of Frontera Foods Jean Marie Brownson discusses her cookbook Dinner at Home along with cooking demos at culinary bookstore Read It and Eat It. Readers, writers, English teachers, history buffs, and museum lovers rejoice! Chicago is set to welcome a new museum to the line-up of superb museums gracing our city. 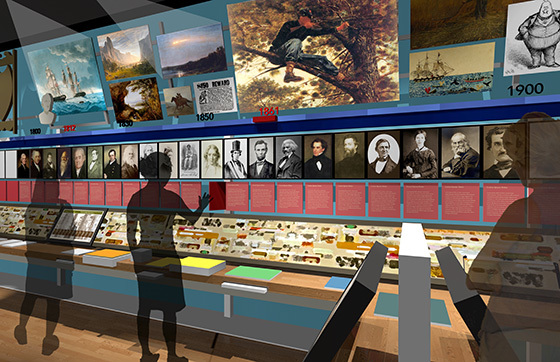 The American Writers Museum (AWM) will open early spring 2017 at 180 N. Michigan Ave. as the first museum in the United States dedicated solely to the personal stories and literary works of American writers past and present. The museum promises themed galleries, educational programs, interactive exhibits, and special events to encourage participation from visitors of all ages. According to Frank Sinatra, "Chicago is the Union Stock Yards" (see "My Kind of Town", the hit song from 1964's criminally underappreciated Robin and the 7 Hoods). Chicago's been known for a lot of things: the Great Fire, the World's Fairs and Al Capone, for example, but for more than a century most Americans knew Chicago as "Hog Butcher for the World." Despite reading Upton Sinclair's The Jungle in high school or college, most Chicagoans don't realize the Union Stock Yard was one of the biggest tourist attractions in the nation, nor that it was almost a self-sustaining city unto itself, full of hotels, taverns, and 40,000 people. SATURDAY! It's Small Business Saturday, so go out and support your local neighborhood bookstores and booksellers! SATURDAY! Chicago Read/Write Library's month long pop-up library Rewriteable Wicker Park holds their Final Friday Celebration at the installation Boombox in Wicker Park's Mautene Court. SATURDAY! Reading series You're Being Ridiculous tackles the theme Beauty for this week's installment of the series at the Mayne Stage. SUNDAY! Sideswiping Normal, a night of storytelling with June Huitt and Nicole Hollander, comes to Martyrs. FRIDAY! MAKE literary magazine sponsors a bilingual reading and conversation Lit and Luz: Ficcion/Fiction with local readers and guests from Mexico City at Constellation Theater. FRIDAY! It's the third Friday of the month which is when Bad Grammar Theater takes residence at Powell's Bookstore downtown. SATURDAY! 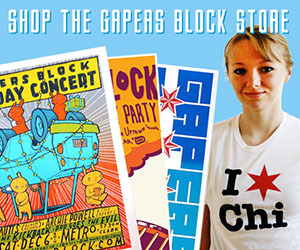 The Chicago Book Expo is back with a slew of workshops, readings, and discussions as well as a tabling expo of small presses, literary organizations, authors and more at Columbia College Chicago 1104 S. Wabash Ave.
SATURDAY! 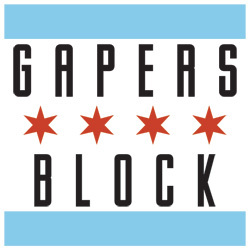 As part of the Chicago Read/Write Library's month long pop-up library (read more from last week's Gapers Block article), they are hosting the workshop How and Why to Preserve Your Family & Community Media. SATURDAY! Quimby's Bookstore welcomes musician Andy Slater (better known as Velcro Lewis) for the release of his book How Many Fingers Am I Holding Up, his chronicle of being a blind pedestrian. SATURDAY! Reading series You're Being Ridiculous is celebrating their fifth anniversary at the Mayne Stage (read a Gapers Block interview about the series too). Last week author Dave Reidy saw his first novel The Voiceover Artist released by Curbside Splendor. Gapers Block Book Club reviewed the book, but I wanted to follow up with him to discuss his writing and influences. 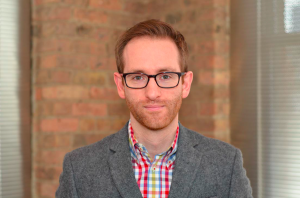 Tonight, Monday, Nov. 16, Reidy hosts the Lit/Comedy Roundtable at Annoyance Theater, 851 W. Belmont Ave. at 7pm. This roundtable mixes Reidy's interests in entertainment and literature, which we touch upon in this interview. 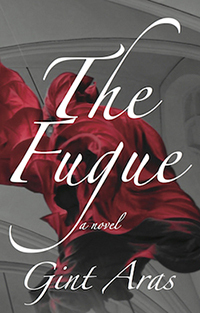 What was the transition from writing your short story collection to your first novel? Did anything about your writing process change? The first several drafts of the novel were written entirely from the perspective of its main character, Simon Davies. But Simon still wasn't coming alive on the page in the ways he was in my head, so I tried a different approach, writing chapters from the points of view of Simon's mother, father, brother, voiceover agent, ex-girlfriend, and others, interspersed among chapters told from Simon's perspective. I was determined that the book would remain a novel with narrative threads that moved forward through each of the book's chapters. But I did draw upon some of my short-story-writing technique in ensuring that each of these first-person chapters was complex and, as much as is possible for a piece that is a novel chapter and not necessarily a stand-alone story, complete.